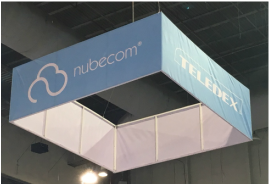 Cetis partner Nubecom debuts Teledex E Series USB phones at Abastur 2016. Abastur, one of the largest and most popular hospitality industry exhibitions in Latin America, was recently held in Mexico, including four days of business meetings with more than 400 exhibitors in a variety of pavilions and contests. The 2016 show was held place in Mexico City's Centro Banamex Convention Center, August 30 through September 2. 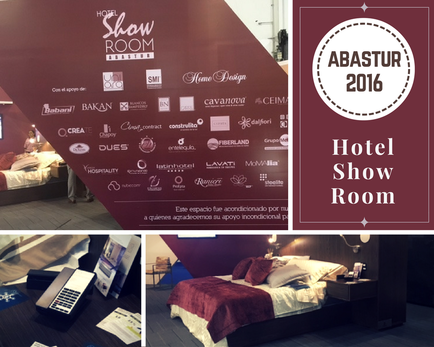 This year, Hotel Showroom Abastur, a specialized space within Abastur was made available to selected exhibitors to showcase the latest trends, innovations and launches of the hospitality industry. Exhibitors had the opportunity to showcase the best of their products via a business class room, which is designed to support vendors vying for their share of positive Mexico tourism trends in 2015 Tourism has become one of the fastest growing industries in the last three years in Mexico, supported by 20,000 hotels and motels in Mexico. According to the Chamber of Tourism, 2014 international visitor growth reached 16%, and 20% during 2015. 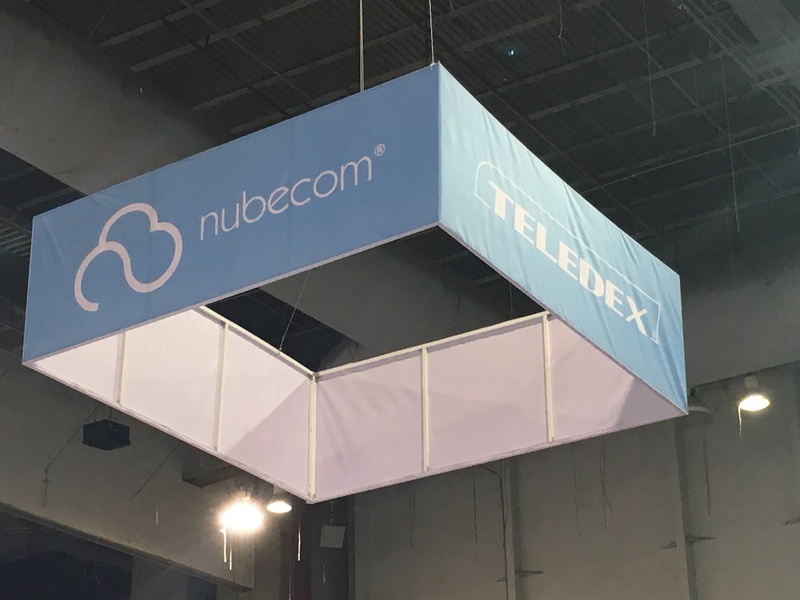 Cetis partner, Nubecom, exhibited within the new Abastur Hotel Showroom arena, displaying Teledex E Series USB hotel phones with built-in USB charging ports. According to Oscar Bravo, Gerente General, Nubecom, "Teledex E Series USB phones not only help drive improved guest satisfaction through the convenience of guest smart device USB charging, but are surprisingly small in size, which saves space on the nightstand or desk for hoteliers concerned about managing space requirements within the room. And for the hotel designer, the E Series flat panel look matches flat screen televisions and contemporary appliances inside the guest room, and adds a touch of elegance to any room without compromising functionality," he concludes. You have choices too! Choose from 12 distinct Teledex, TeleMatrix, and Scitec brand hotel phone design families to meet your emerging hotel requirements. Choose classic Diamond or Aegis-08 models, popular 3100 Series phones, or contemporary 9600 Series cordless sets. Or make a bold statement with contemporary D Series, or M Series phones. Need to save space on the nightstand or desk? Take a closer look at micro-footprint E Series USB phones. Want to go retro? 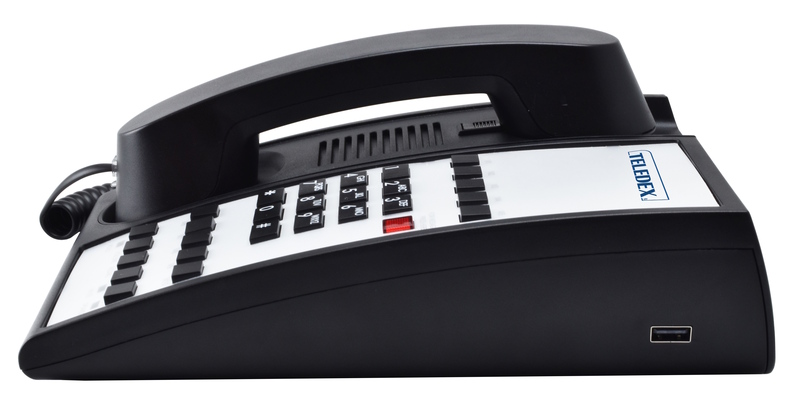 Create a retro look with TeleMatrix Retro Series phones in the lobby, hallways, and public areas or even right inside the guest room. Click here to view our hotel phone design family model guides and request a quote, or here to request a consultation. Hotel phones enhance guest satisfaction and revenues. ​Room phones with pre-programmable guest service keys continue to positively impact guest satisfaction. If hotel guests need a wake-up call, advice on getting clothes cleaned, or fresh towels, they pick up the hotel guestroom phone, push a single button and get what they want. This is a guest convenience that is simple, fast, and -- most of all – expected. In an age where consumers are already cranky about service cutbacks in airlines and other travel-related products, taking away this expected convenience would be commercial suicide. All of these needs are met by single button pushes on hotel guest room phones, a convenience that guest smart devices cannot replace. In fact, one large, full-service hotel reports guest service key orders of up to 65,000 annually. At an average $20 per order that's $1.3 million dollars in room service revenues. Likewise, annual international call revenues have been reported in the $240,000 range. The point? Room phones help preserve and grow your room service and long distance revenues. Ensure that these profit centers remain alive and contributing to your hotel’s bottom line. Click here to request a quote, or here to arrange a consultation. 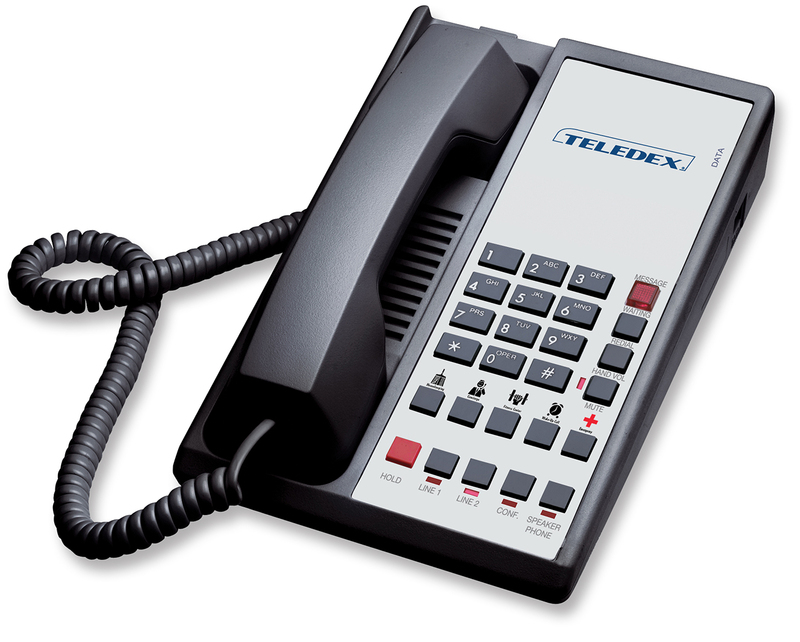 Teledex D Series with built-in USB charging ports. A contemporary redesign of the classic Teledex Diamond, the most popular hotel phones in the world, Teledex D Series hotel phones feature a fresh design footprint, ergonomic open handset, optional built-in guest smart device USB charging ports, and a faceplate that is fully interchangeable with existing Diamond sets. Available in single or two-line speakerphone and non-speakerphone models, hoteliers may choose optional USB charging ports, and up to 10 programmable guest service keys. Patented OneTouch voice mail retrieval technology is also a standard feature on speakerphone models. Concerned about the cost of faceplates with your D Series upgrade? Keep your existing Diamond faceplates and transfer them to your new D Series phones for matching models. Your faceplates are fully interchangeable! Millions of established Diamond Series owners may now transition to D Series by simply transferring their existing Diamond faceplates, or opt for new faceplates. Either way, a D Series faceplate upgrade from legacy Diamond room phones is a seamless upgrade experience. ​Order 50+ phones and receive free faceplates! Receive new full-color D Series faceplates with your National Account Program order of 50+ phones. The package includes free full-color faceplates, free faceplate installation, free guest service key pre-programming, and free ground shipping in the Continental U.S.
An important safety lifeline for guests. 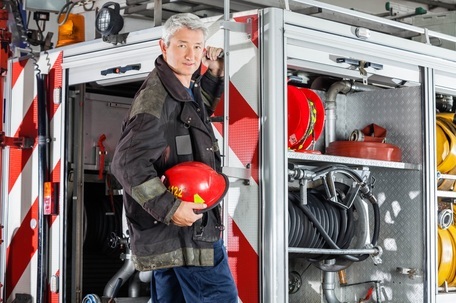 Did you know that hotel phones serve as an emergency lifeline for guests? In fact, a phone plugged into a jack inside the room is a more reliable emergency location device than a mobile phone. Why? Because the room phone identifies the exact location of the guest inside the room. It's also useful to note that Congress is currently reviewing legislation to require multi-line telephone systems to be configured for users to directly dial 911 without having to dial an initial digit. Do you have direct-dial room phones in place in your rooms? Be prepared! Click here to request details on Cetis direct-dial room phone, and emergency telephone solutions. 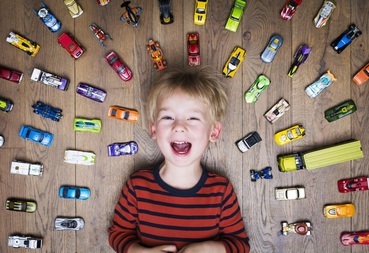 8 essentials every GM needs to know about digital marketing today. 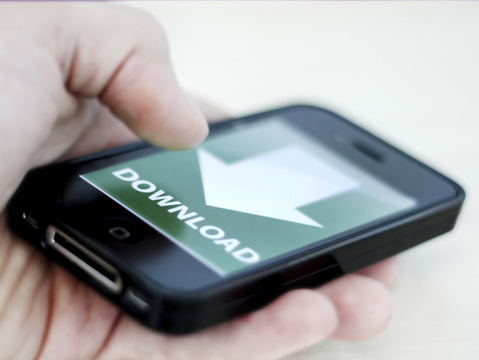 First and foremost, understand your own hotel’s digital landscape. 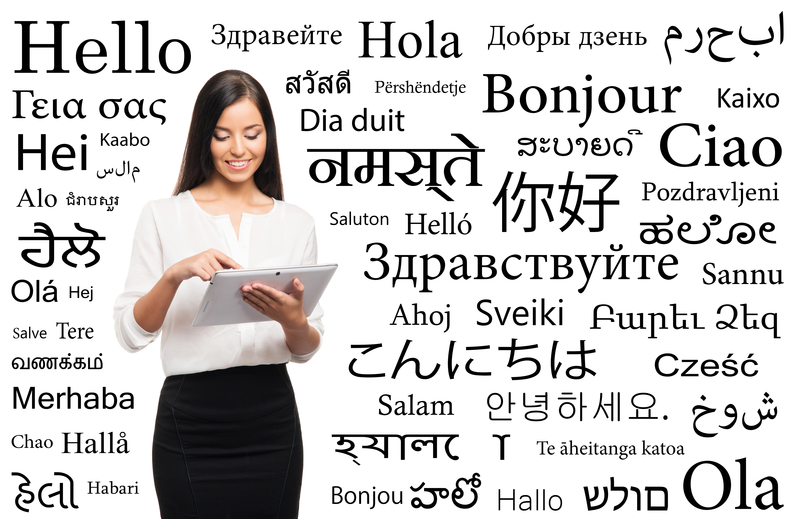 Of the most pressing issues facing hotel marketers, internal stakeholder communication and education about digital marketing continues to be often overlooked and neglected. Especially with budget season moving into high gear, now is a great time to help general managers and owners better understand the basics of the customer journey (what customers do in the digital space when planning and booking travel), why we need to invest where (it’s not all last-click…), and the costs of acquisition of the various channels in our toolkits. 1. First and foremost, understand your own hotel’s digital landscape. Through which channels (brand.com, OTAs, meta, etc.) does what percentage of your business come? For those largest pieces of the pie, focus your attention on understanding what is driving them, and the digital trends and developments happening there. 2. Understand the digital marketing funnel, and the difference in ROI between efforts directed at filling the top of that funnel and pulling business though the bottom of it. 3. Pay attention to the impact of the guest experience, reputation management, and social media on your hotel’s digital outreach and pricing power. 4. Especially if you are part of a brand and/or management company, be very clear on the company’s overall strategy when it comes to natural search, websites, and more. Understand the tools and resources already available to your property from the brand and the management company. And for goodness sake, don’t sign up for extra products, services, or channels without understanding what the umbrella company is doing. 5. Realize how ads work on Google (and other places). When you’re online, don’t click the ad result for your property because you’re burning up your own marketing budget!